Yogic Practice shall start with a prayer or prayerful mood to enhance the benefits of practice. The Calana Kriyas/ loosening practices/ Yogic Suksma Vyayamas help to increase microcirculation. These practices can be done while standing and sitting. Stand with the feet comfortably apart. Keep the hands straight beside the body. Keep your arms on the waist. While exhaling, move the head forward slowly and try to touch the chin to the chest. While inhaling, move the head as far back as is comfortable. This is one round: repeat 2 rounds. While exhaling, bend the head slowly to the right; bring the ear as close as possible to the shoulder without raising the shoulder. While inhaling, bring the head to normal position. Similarly, while exhaling, bend the head to the left side. Inhale and bring the head up to normal position. While exhaling, gently turn the head to the right so that the chin is in line with the shoulder. While inhaling, bring the head to the normal position. Similarly, while exhaling, turn the head to the left. Inhale and bring the head to the normal position. Exhale; bend the head forward trying to touch the chin to the chest. Then rotate the head in anti-clockwise direction. Inhale; go back and exhale, come down. Move the head as far as possible. Do not over strain. Keep the shoulders relaxed and steady. Feel the stretch around the neck and loosening up of the joints and muscles of the neck. Can be practiced sitting in a chair. People with neck pain can do the practice gently especially when taking the head back to the extent it is comfortable. Elderly people and persons with cervical spondylitis, high blood pressure may avoid these practices. Keep the legs about 2-3 feet apart. with palms facing each other and keep them parallel. While exhaling twist the body towards the left side so that the right palm touches the left shoulder, come back with inhalation. While exhaling twist the body towards the right side so that the left palm touches the right shoulder, come back with inhalation. This is one round: repeat two more times. Cardiac patients shall do with care. Avoid this practice in case of severe back pain, vertebral and disc disorders, after abdominal surgery and during menstruation. Inhale, lift your arms up at the shoulder level, palms facing downwards. Exhale, bend the knees and bring down your body to the squatting position. In the final position both the arms and thighs should be parallel to the ground. Inhale, and straighten the body. Exhale while bringing down the hands. Strengthen knees' and hips' joint. 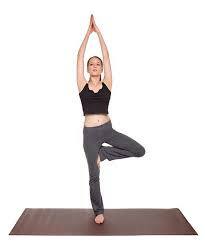 Avoid this asana in case of acute conditions of arthritics. forms the base for all the standing asana. Stand with feet 2 inches apart. Interlock the fingers, and turn the wrist outwards. Now inhale, raise the arms up and bring them in line with the shoulders. Raise the heels off the floor and balance on the toes. Stay in this position for 10 -15 seconds. Exhale, bring the heels down. Release the interlock of the fingers and bring the arms down parallel to the trunk, and come back to standing posture. This asana brings stability in the body, helps to clear up congestion of the spinal nerves, corrects faulty posture. Helps to increase height up to a certain age. Avoid lifting the toes in case of acute cardiac problems varicose veins and vertigo. Vrḳsa means tree. The final position of this asana resembles the shape of a tree, hence the name. Focus on a point in front. Exhale, bend the right leg and place the foot on the inside of the left thigh. The heel should be touching the perineum. Inhale and extend the arms up and join the palms. Stay in the position for 10 to 30 seconds and breathe normally. Exhale and bring the arms and right foot down. Relax and repeat the asana by bending the left leg. Improves neuro-muscular coordination, balance, endurance and alertness. It tones up the leg muscles and rejuvenates the ligaments also. Please avoid this practice in case of arthritis, vertigo and obesity. Stand straight with feet 2 inches apart. Inhale slowly and raise the arms up. Exhale and bend forward until the trunk is parallel to the ground. Exhale, and bend forward until the entire palm rests on the ground. Maintain this final posture for 10-30 seconds. Those who are having stiff back should bend according to their capacity. Now inhale, come up slowly to the vertical position and stretch the arms above the head. Exhale and slowly return to the starting position in reverse order. Makes the spine flexible, improves digestions, and prevents constipation and menstrual problems. Please avoid this practice in case of cardiac or back problems, abdominal inflammation, hernia and ulcers, high myopia, vertigo and during pregnancy. Those with vertebral and disc disorders should also avoid this practice. Ardha means half Chakra means wheel. In this posture, as the body takes the shape of a half wheel, hence it is called Ardha Chakarasan. Support the back at the waist with all the fingers together pointing forward or downward. Drop the head backwards and stretching the neck muscles. As you inhale, bend backwards from the lumbar region; exhale and relax. Stay here for 10-30 seconds with normal breathing. Ardha Chakarasan makes the spine flexible and strengthens the spinal nerves. Strengthens the neck muscles, and improves breathing capacity. Avoid this posture in case of vertigo or a tendency to giddiness. Hypertensive patients shall bend with care. Trikoṇa means triangle. Tri means three and kona is an angle. As the āsana resembles three arms triangles made by the trunk and the limbs, it has been named Trikoṇāsana. Slowly raise both the arms sideways till they are horizontal. Exhale, slowly bend to the right side and place the right hand just behind the right foot. The left arm is straight up, in line with the right arm. Turn the left palm forward. Turn your head and gaze at the tip of the left middle finger. 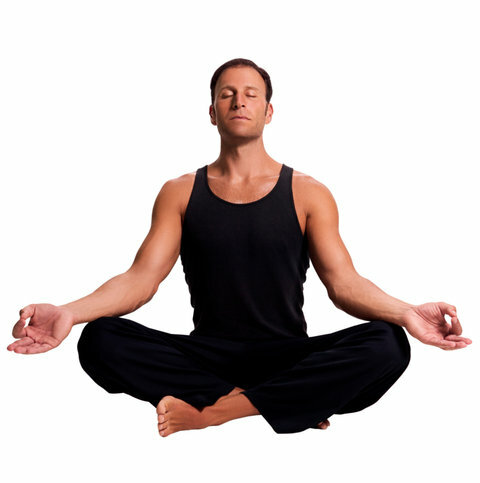 Remain in the posture for 10-30 seconds with normal breathing. As you inhale slowly come up. Strengthens calf, thigh and waist muscles. Makes the spine flexible, improves lungs capacity. Avoid this posture in case of slipped disc, sciatica, and after undergoing abdominal surgery. Do not do beyond limits and overdo the lateral stretch. If one cannot touch the feet, one can reach for the knees instead. Sit erect with the legs stretched out straight in the front. Keep the hands beside the hips. This is Dandāsana. Now put the soles of your feet together. possible up to perineum region. If your thighs are not touching or are not close to the floor, place a soft cushion underneath the knees for support. This is the final position. Keeps the body firm and stabilize the mind. Keeps the knees and hip joints healthy. Helps to relieve knee pain. Acts on the abdominal organs and releases any tension in the abdomen. Benefits women by relieving abdominal pain often experienced during menstruation. Usṭra means camel. The final version of this asana resembles the hump of a camel. In this version, only the first stage (half) of the asana is being practiced. Fold your legs and sit on your heels. Keep the thighs close and big toes touching. The head and back should be straight. Place the hands on the waist with fingers pointing downward. Keep the elbows and shoulders parallel. Bend the head back and stretch the neck muscles; inhale and bend the trunk backwards as much as possible. As you exhale, relax. Keep the thighs perpendicular to the ground. Return with inhalation; sit in Vajrasana. If you can reach the heels, you can place your hands on them and bend backwards. This is called Ustrasana. Relieves constipation and back pain. Increases blood circulation to the head and cardiac region. In case of hernia and abdominal injuries, arthritis, vertigo and pregnancy, please avoid doing this āsana. Spread both the knees wide apart, keep the big toes touching. Keep the palms between the knees. Exhale and slowly stretch them full length. Bend forward and place the chin on the ground. Look in front and maintain the posture. Exhale and come back to Vajrāsan. It tones up reproductive organs, relieves constipation, improves digestion and relieves back pain. Please avoid this posture in case of acute backache. Patients with osteoarthritis of the knees should exercise with caution or avoid Vajrāsana. Bend the right leg, and place the right foot beside the left knee. As you exhale, twist the body to the right. Take the right arm back and keep the palm on the ground with the back straight. Remain in the posture for 10-30 seconds with normal breathing and relax. Helps to overcome constipation, dyspepsia. Stimulates pancreas and helps in the management of diabetes. Please avoid this posture in case of severe back pain, vertebral and disc disorders, after abdominal surgery and during menstruation. Lie down on your stomach, rest you head on your hands and relax the body. Now join your legs and stretch your arms. Keep the forehead on the ground. Now place your hands just beside the body; keep palms and elbows on the ground. As you inhale slowly, lift the chin and chest come up to navel region. This is called Sarala Bhujangasana. Now come back and place your forehead on the ground. Keep your palms besides the chest where your elbows were and raise the elbows. Inhale; slowly lift the chin and chest up to navel region. Exhale, rest your forehead on the ground and place your palms and rest your head on the palms and spread your legs and relax. Keep the legs firm so that no load or strain is felt on the lumbar spine. This asana is best for stress management. It reduces abdominal fat and alleviates constipation. It also helps to remove backache and bronchial problems. Those who have undergone abdominal surgery should avoid this asana for 2-3 months. Those who suffer from hernia, ulcers should not practice this asana. Lie down on your stomach in Makarāsana. Inhale, raise the legs off the floor as much as you can without bending the knees. Extend the arms and legs well to ease the lift of the body off the floor. Stay in this position for 10-20 seconds breathing normally. Exhale, bring the legs down towards the floor. Rest for a few seconds in Makarasana. Helps in sciatica and lower backache. Tones the hip muscles and those in the kidney region. Cardiac patients should avoid this posture. Please proceed cautiously in case of sever lower back pain. People with high blood pressure, peptic ulcers and hernia should also avoid this posture. Lie down on your stomach with the feet wide apart, feet pointing outward. Bend both the arms and place the right hand on the left hand. Place the forehead on your hands. Keep the eyes closed. This is Makarasana. This asana is practiced for relaxation in all prone postures. Promotes relaxation of the lower back. Helps in recovery of back problems. Indicated for all orthopedic ailments. Indicated to counter stress and anxiety. Avoid this practice in case of low blood pressure, severe cardiac problems and pregnancy. Setubandha means formation of bridge. In this posture, the body is positioned like a bridge, hence the name. This is also called as Cạtusp̣ādāsana. Hold both the ankles firmly; keep the knees and feet in one straight line. Inhale; slowly raise your buttocks and trunk up as much as you can to form bridge. Remain in this position for 10-30 seconds, with normal breathing. Exhale, slowly return to the original position and relax in Savasana. In the final position, the shoulders and head remain in contact with the floor. If required, in the final position, you can support your body at the waist with your hands. Relieves depression and anxiety. Strengthens lower back muscles. Stretches abdominal organs, improves digestion and helps to relieve constipation. People suffering from ulcers and hernia, and women in advanced stages of pregnancy should not practice this asana. Lie down flat on the back. Bend both the knees and bring the thighs to the chest. Interlock the fingers and clasp the shin below knees. Exhale; rise the head till your chin touches the knees and relax. Bring the head back to the ground. While exhaling, lower the legs to the floor. Synchronise your breathing with the leg movement. While touching the knee with the nose/ forehead, you should be able to feel the lumbar region stretch; keep the eyes closed and focus your attention on the lumbar region. Removes constipation; gives relief from flatulence, decreases the bloating sensation in the abdomen and aids digestion. Offers deep internal pressure, massage and stretching of the highly complicated network of muscles, ligaments and tendons in the pelvis and waist region. It tones up the back muscles and spinal nerves. Please avoid this practice in case of abdominal injuries, hernia, sciatica or severe back pain and during pregnancy. Sava means dead body. The final position in this asana resembles a dead body. Lie down on your back with arms and legs comfortably apart. Palms facing upward; eyes closed. Relax the whole body consciously. Remain in the position till you feel refresh and relax. 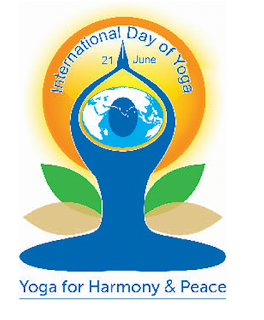 Helps to relieve all kinds of tensions and gives rest to both body and mind. Relaxes the whole psycho-physiological system. The mind, which is constantly attracted to the outer world, takes a U-turn and moves inwards, thus gradually getting absorbed; as the mind turns quiet and absorbed, the practitioner remains undisturbed by the external environment. It is found very beneficial in the management of stress and its consequences. Inhale deeply through both nostrils, expand the chest. Expel the breath with forceful contractions of the abdominal muscles and relax. Continue active/forceful exhalation and passive inhalation. Complete 30 rapid breaths, then take a deep breath and exhale slowly. This is one round of Kapālabhati. Each round shall be followed by deep breathing. Number of rounds: Beginners can practice up to 3 rounds of 20 breaths each. The count and rounds can be increased gradually over a period of time. Kapālabhāti purifies the frontal air sinuses; helps to overcome cough disorders. It is useful in treating cold, rhinitis, sinusitis, asthma and bronchial infections. It rejuvenates whole body, and keeps the face young and vibrant. It balances and strengthens the nervous system and tones up the digestive system. Please avoid this practice in case of cardiac conditions and giddiness, high blood pressure, vertigo, chronic bleeding in the nose, epilepsy, migraine, stroke, hernia and gastric ulcers. The main characteristic feature of this prānạ̄ yāma is alternate breathing through the left and right nostrils without or with retention of breath (kumbhaka). Keep the spine and head straight with eyes closed. Relax the body with few deep breaths. Keep the left palm on the left knee in Jnāna mudra. The right hand should be in Nāsāgra mudra. Breathe in from the left nostril; then close the left nostril with the small and ring fingers and release the thumb from the right nostril; exhale through the right nostril. Next, inhale through the right nostril. At the end of inhalation, close the right nostril, open the left nostril and exhale through it. For beginners, the duration of inhalation and exhalation should be equal. Breath should be slow, steady and controlled. It should not be forced or restricted in any way. The main purpose of this prānạ̄ yāma is to purify the principle channels of carrying energy called naid's; hence nourishes the whole body. Bhramari is derived from bhramara which means a black bee. During the practice of this prānāyāma, the sound produced resembles the buzzing of a black bee. Sit in any meditative posture with eyes closed. Exhale slowly in a controlled manner while making a deep, steady humming sound such as that of black bee. This is one round of Bhrāmarī. Close the eyes with index fingers, mouth with ring and small fingers and ears from respective thumbs as shown in the figure. This is also called Śanmukhi Mudra. The practice of Bhrāmarī relives stress and helps in alleviating anxiety, anger and hyperactivity. The resonance effect of humming sound creates a soothing effect on the mind and nervous system. It is a great tranquiliser; found good in the management of stress related disorders. It is a useful preparatory prānāyāma for concentration and meditation. Please avoid this practice in case of nose and ear infections. Dhyana or meditation is an act of continuous contemplation. Keep your spine comfortably erect. The other three fingers are straight and relaxed. All three fingers are side-by-side and touching. Keep your palms facing upwardsupon the thighs. Arms and shoulders should be loose and relaxed. Close your eyes and sit with a slightly upturned face. Dissolve your thoughts and attain single and pure thought. For beginners, soothing music may be played in the background during meditation. Meditation is the most important component of Yoga practice. Keeps the mind calm and quiet. Increases concentration, memory, clarity of thought and will power. Rejuvenates the whole body and mind giving them proper rest. May All become Happy, May All be Free from Illness.